Summer is the time to wear bright and light colours. Among the many colours which fall under that category, the colour yellow definitely makes it to the top of the list. It is a colour we definitely can’t wear enough owing to how vibrant and happy it is. Last summer, it was one of the hottest colours of the season. And looks like it will be so this season as well. Sania Mirza is seemingly already welcoming the summer season. 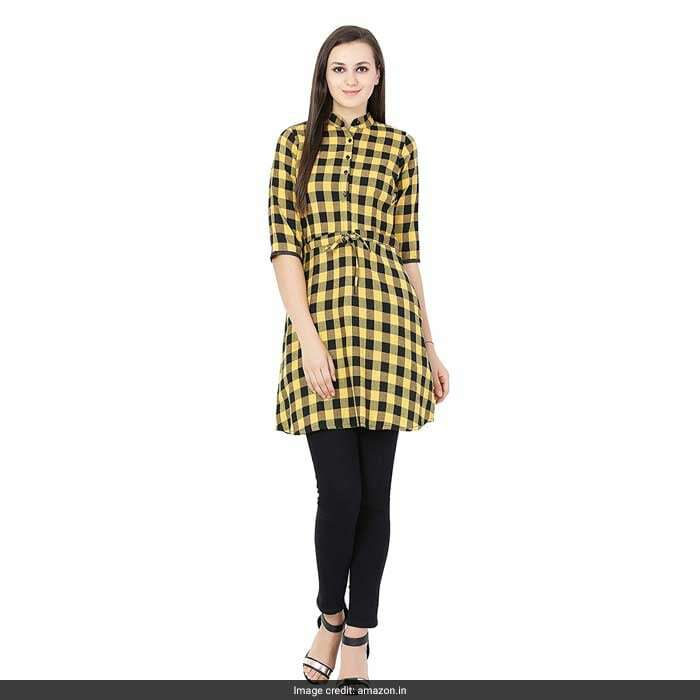 Dressed in a yellow and black plaid top, Sania looked very simply fashionable. Check her out. If you want to a similar look, here are a few pieces you can consider getting. 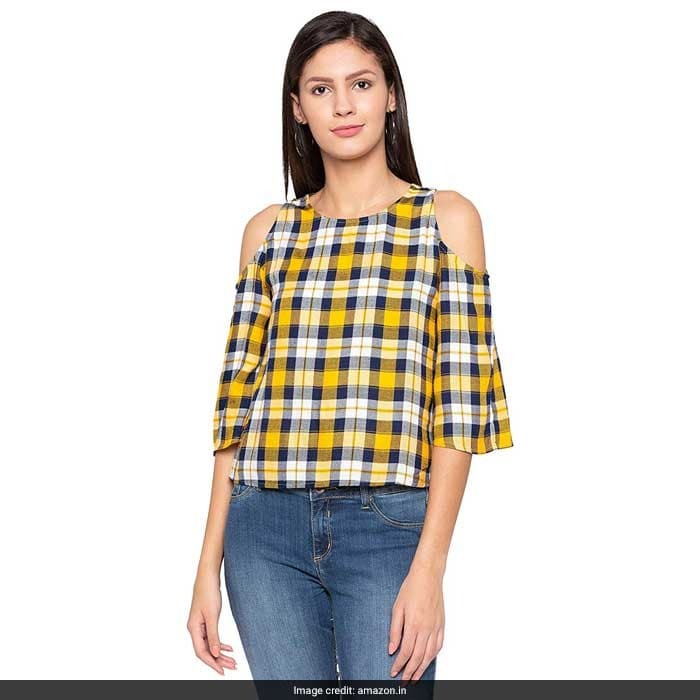 If you want to wear black and yellow checks like Sania, get this SCENESTEALER casual top. You can also consider wearing this top like a dress. Priced at Rs 699, you can get this here. Want to go for something simpler? 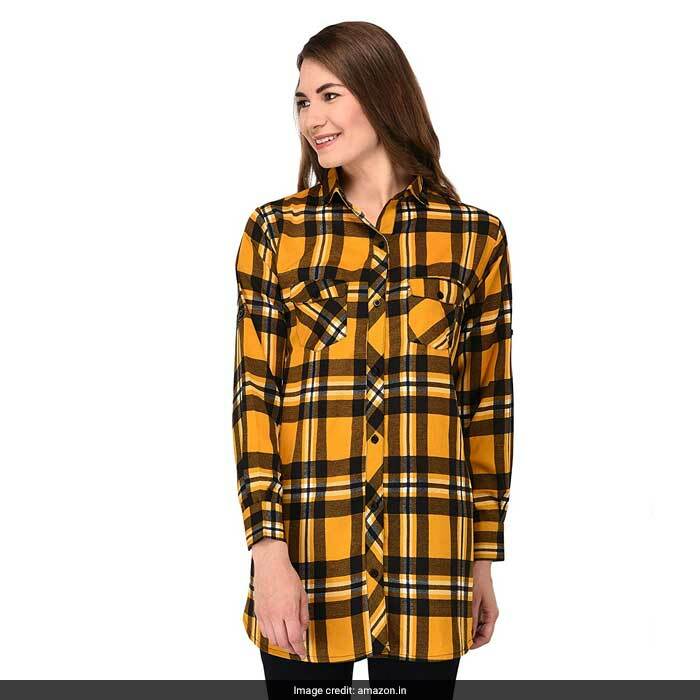 This Twist cotton plaid shirt is the piece to go for. This will look great with a pair of white denims or even a white skirt. Priced at Rs 699, you can get this here. Another stylish shirt to get is this Patrorna cotton silk casual shirt. 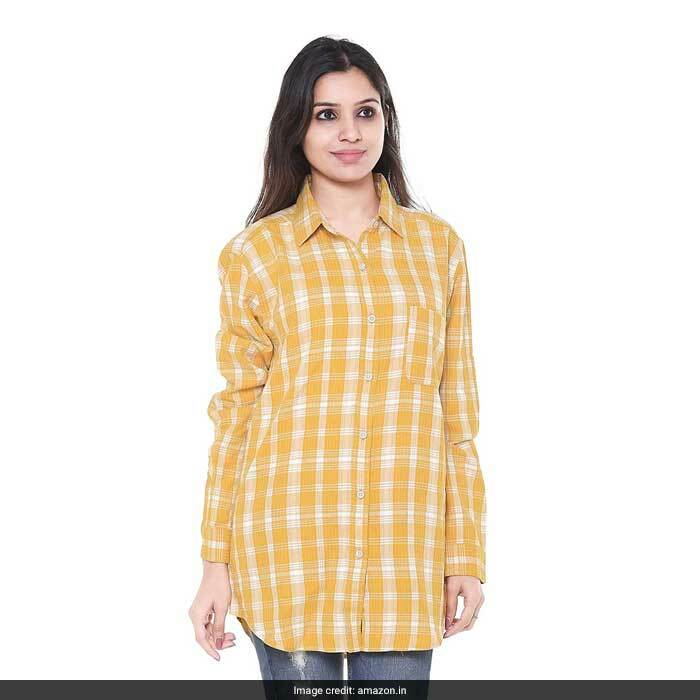 This yellow checked shirt will look great with black trousers or black denims. You can also come up with a formal look with this shirt. Priced at Rs 899, you can get this here. However, if you want to wear an array of colours, this Globus tartan checked cold shoulder multicoloured top is the piece to get. Wear this with navy blue bell bottoms for the complete look. Priced at Rs 599, you can get this here. 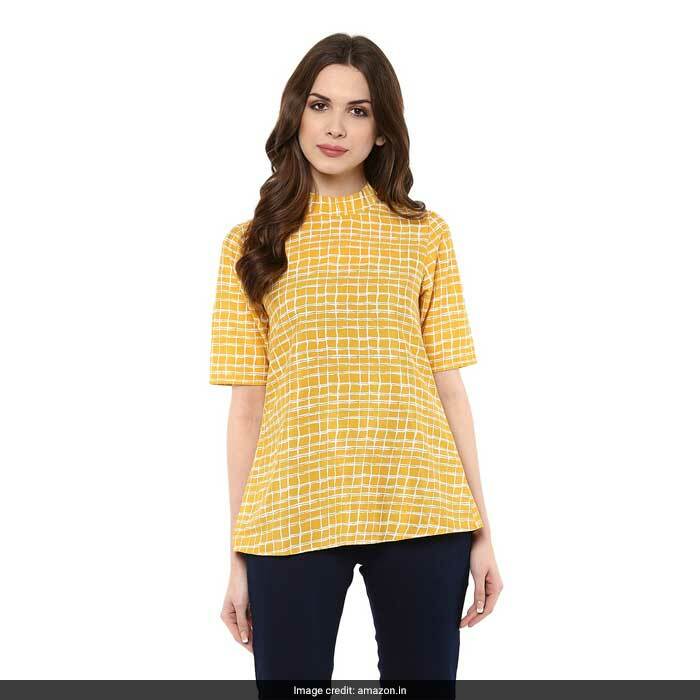 A very simple and sober piece we absolutely loves is this Magnetic Designs yellow and white checked print top. The minimal design and the summery appeal of the dress makes it a must-have piece for the warm season. Priced at Rs 799, you can get this here. Here’s to gearing up for the summer.